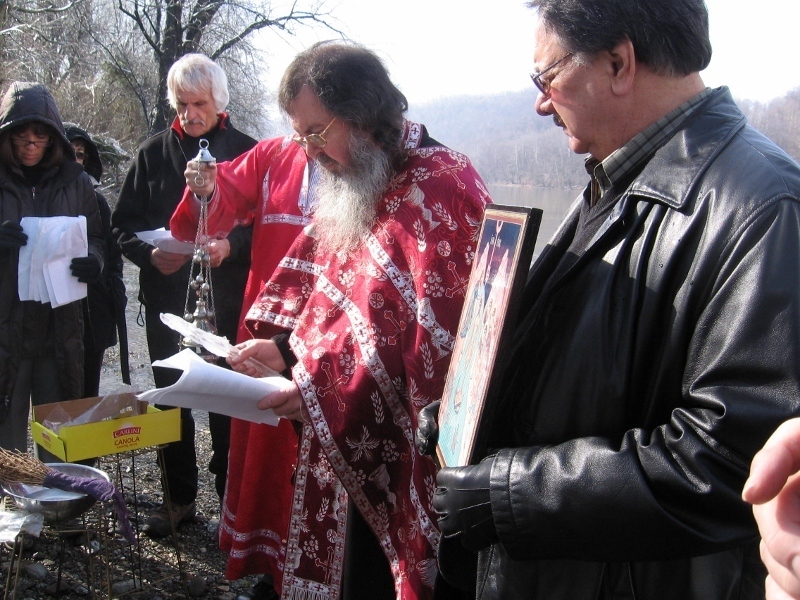 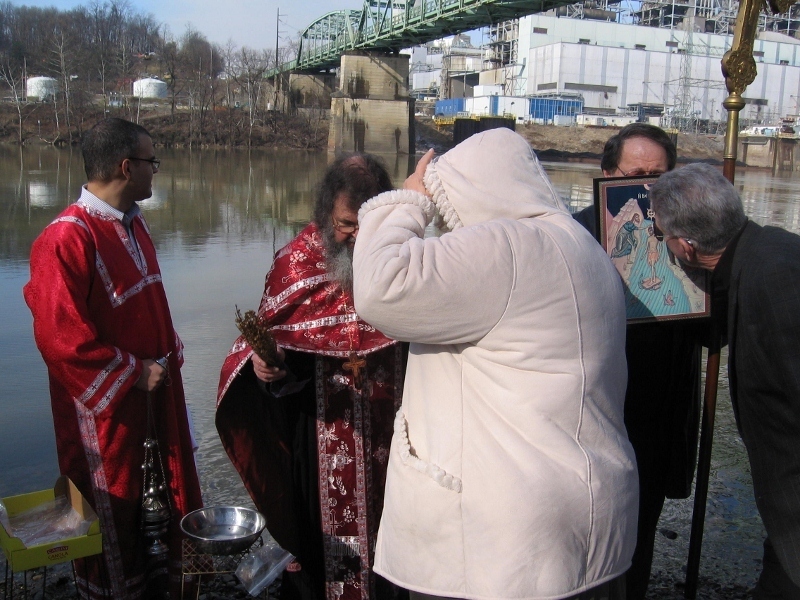 Carmichaels, PA - With the archpastoral Blessing of His Grace Bishop Dr. Mitrophan, every year during the celebration of the Feast of Theophany, parishioners and friends of the St. George Serbian Orthodox Church in Carmichaels, Pennsylvania gather on the banks of the banks of the nearby Monongahela River under the Masontown Bridge for the annual river blessing. 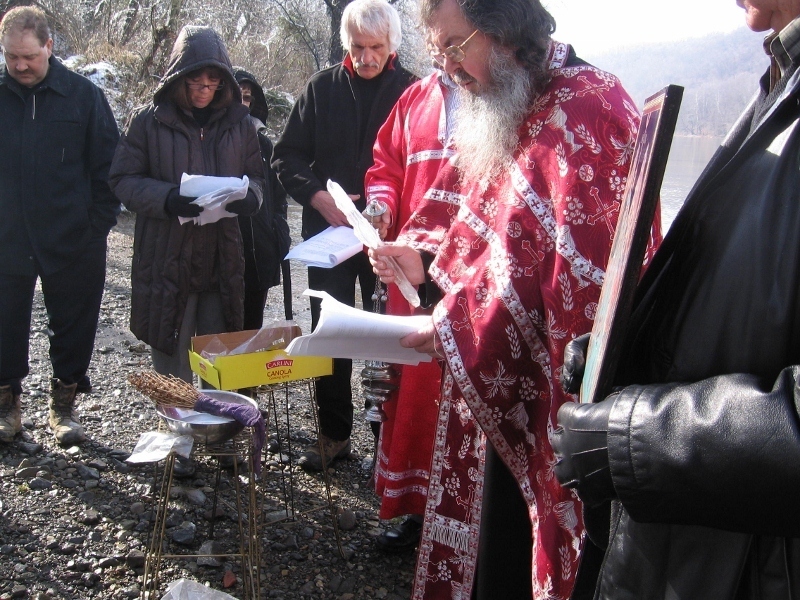 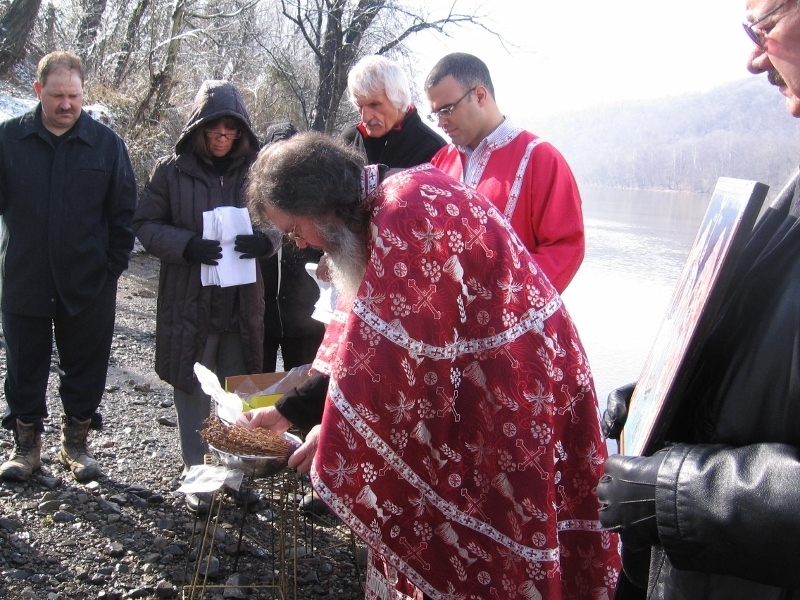 This year the blessing took place following the Divine Liturgy on Sunday, January 22, 2012. 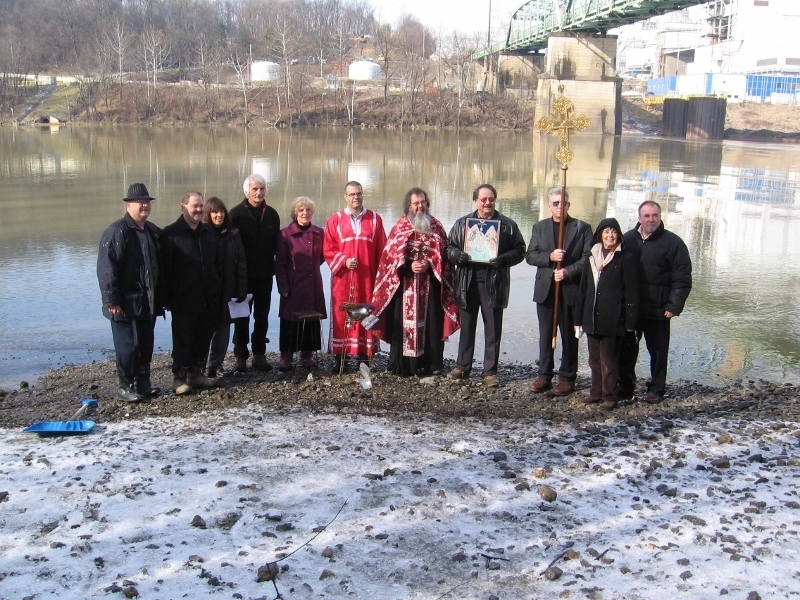 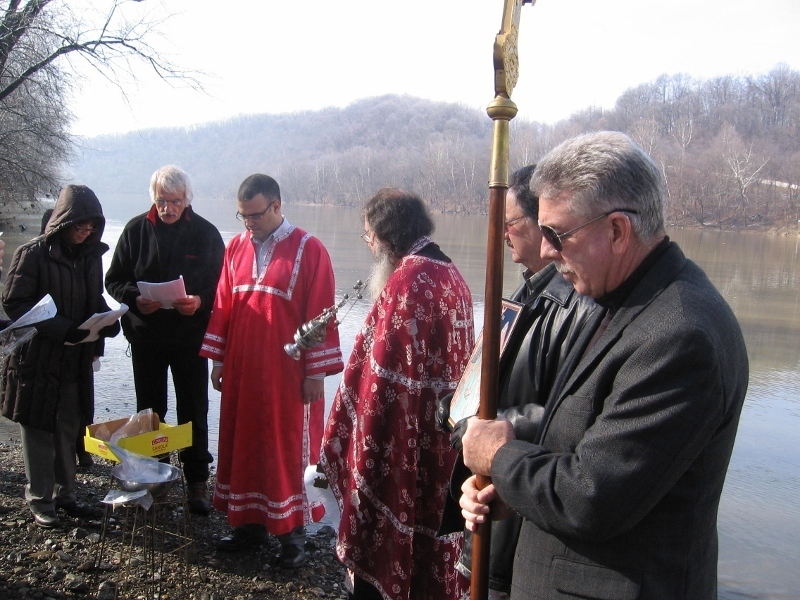 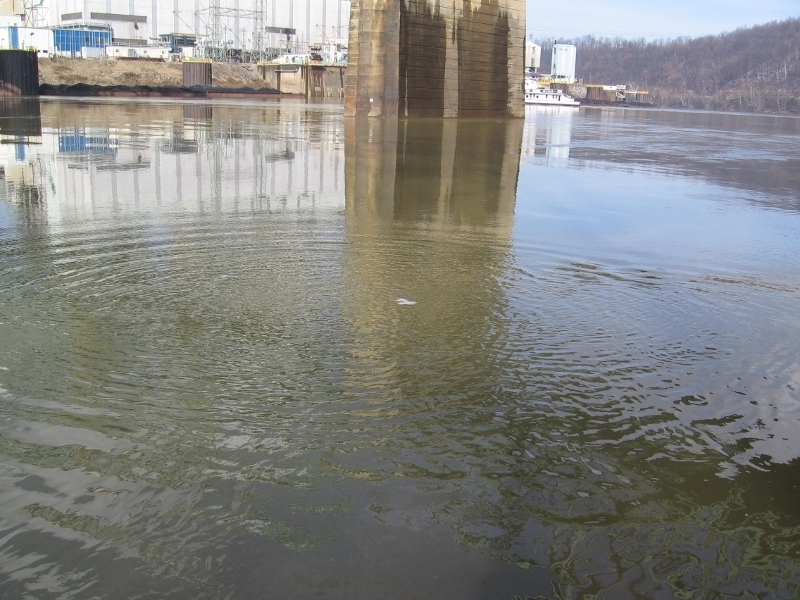 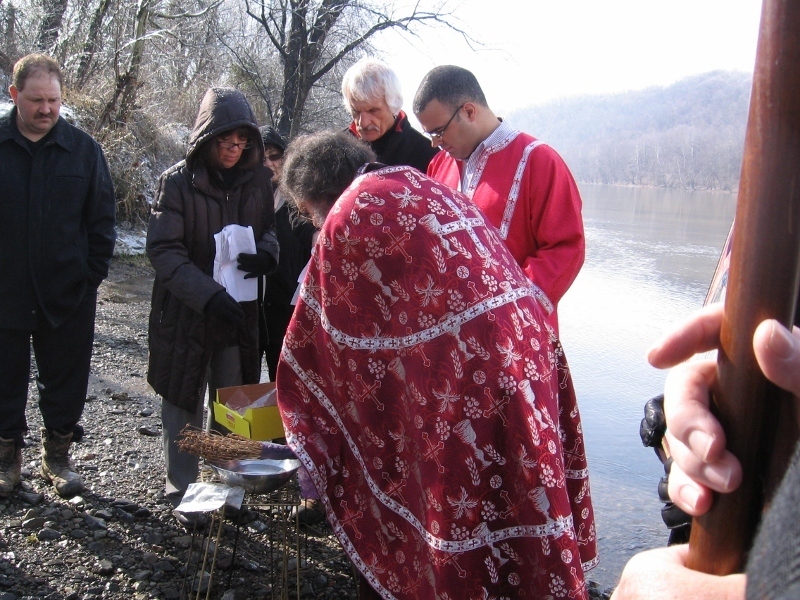 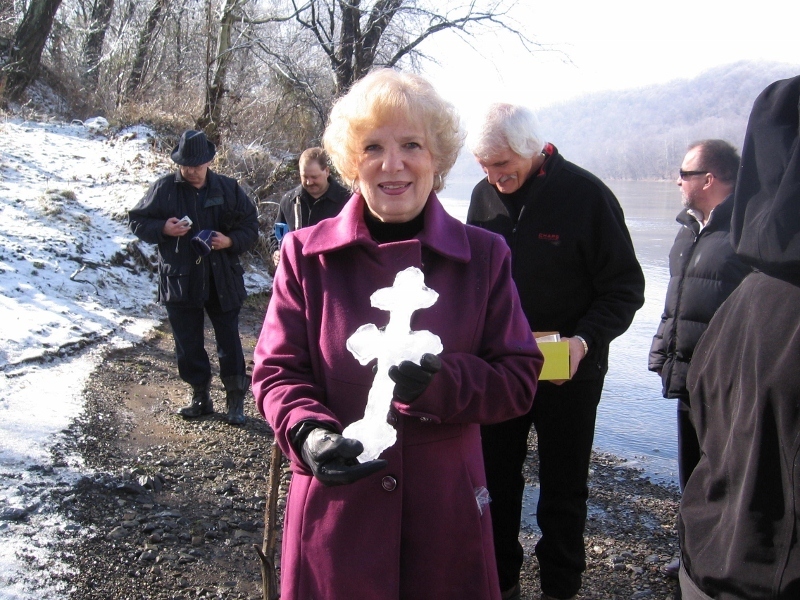 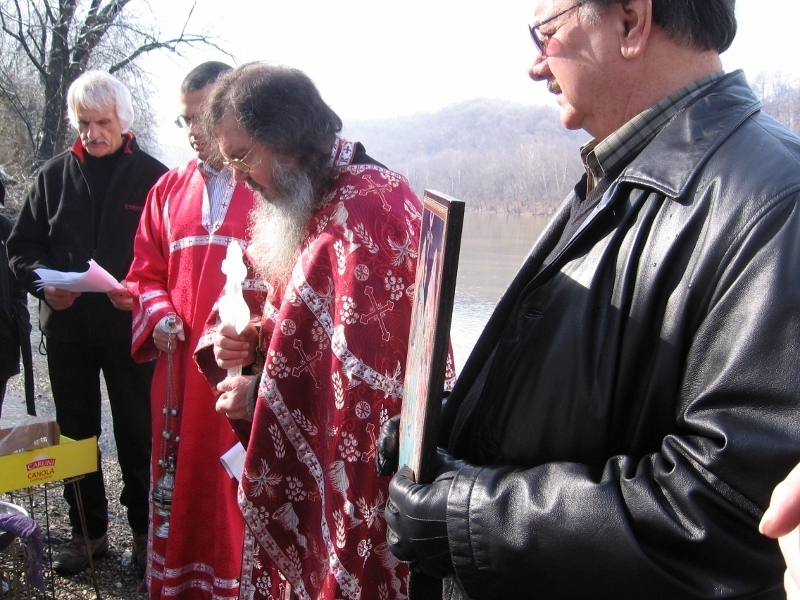 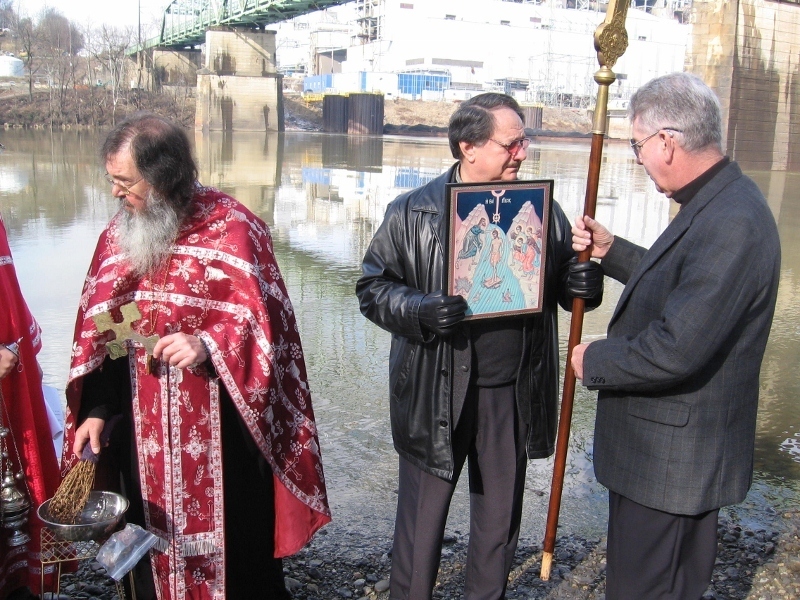 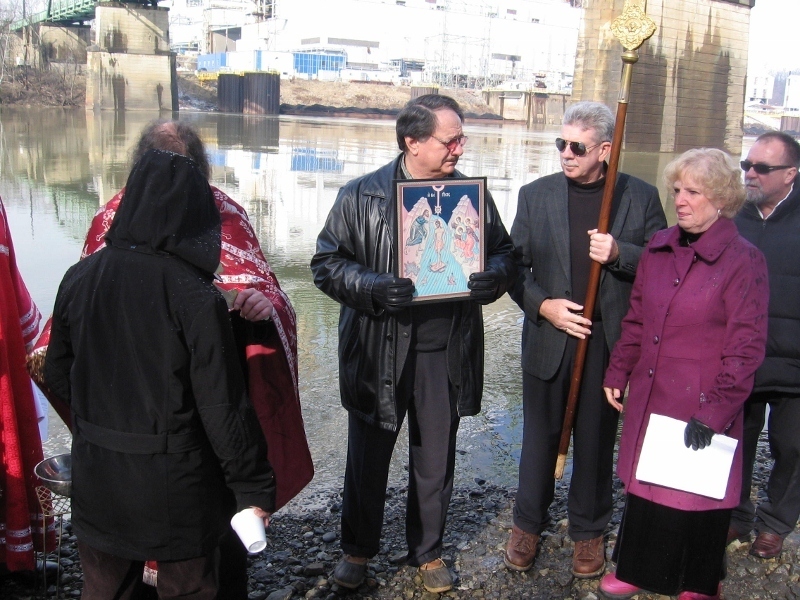 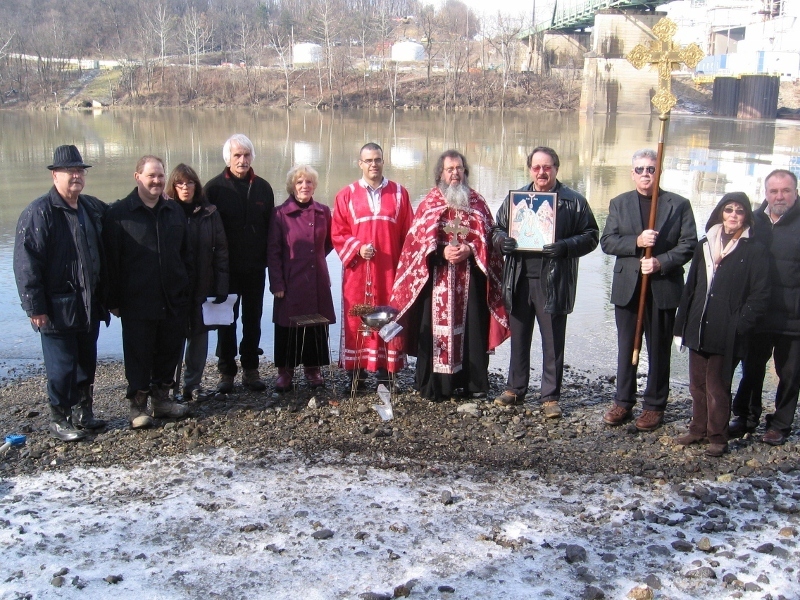 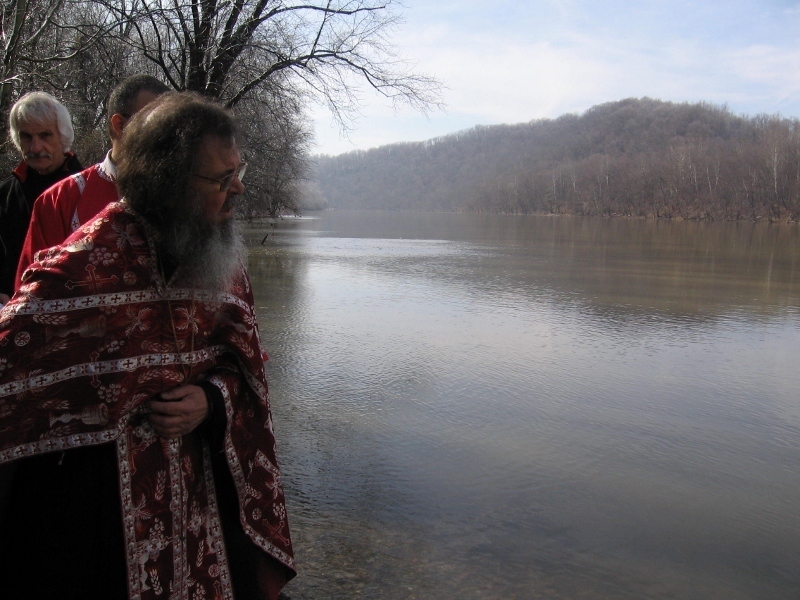 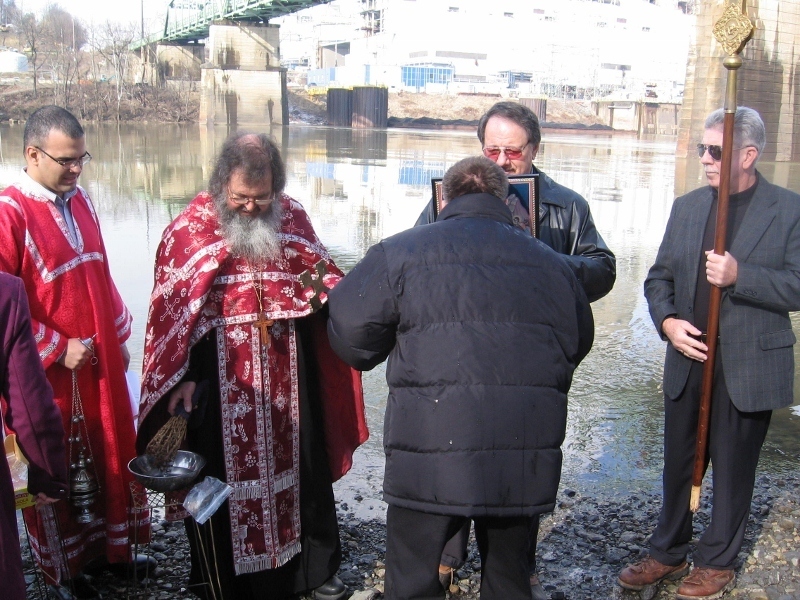 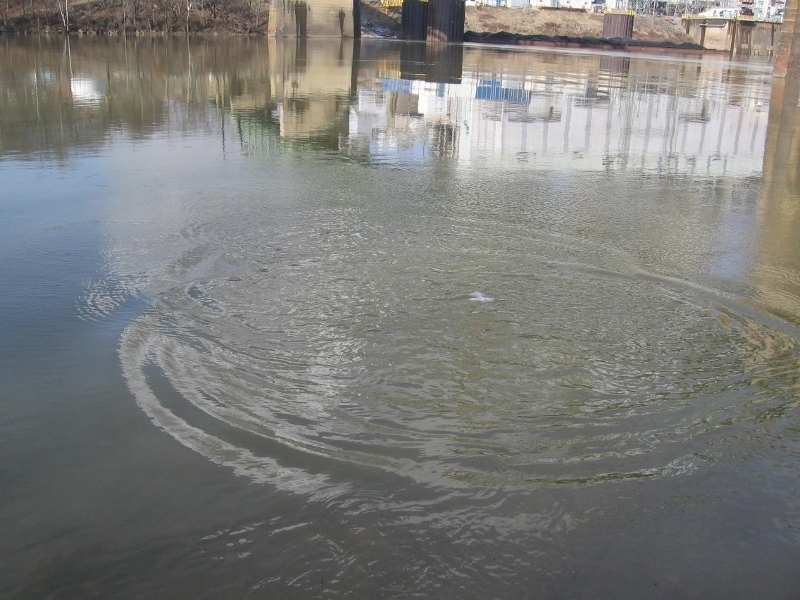 The annual blessing of the Monongahela River is recognition of renewal by Christ identified with His Baptism by John in the River Jordan many centuries ago. 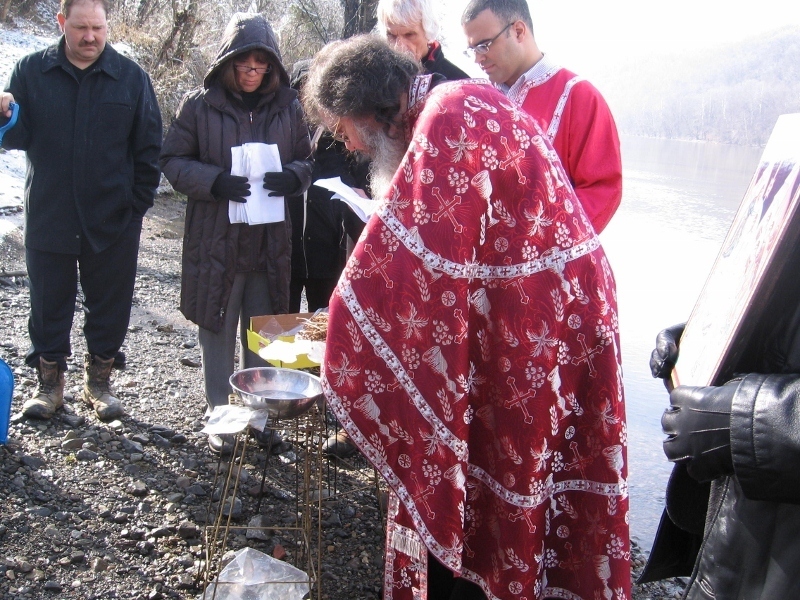 The blessings of homes and individuals with holy water at this time of the year are further celebrations of the Feast of Theophany and recognition of the renewal in Christ that spreads throughout the world.